This article appeared in The Conversation of 4 August 2016, written by Doctoral Candidate at NMMU, Stewart Maganga. It would be easy to dismiss Bob Marley (1945-1981) as someone who is and should remain a figure of the 20th century. However, this does not help to explain why even after his death from cancer three and a half decades ago, he continues to be revered by millions of people around the world. Marley’s images can be found almost everywhere, ranging from T-shirts and hats, to bags and even coffee mugs. His greatest hits compilation, “Legend”, has sold an estimated 27.9 million copies since it was released in 1984. It still sells 250,000 copies a year. If there is anything that is to be associated with reggae music, the Afrocentric religion of Rastafari, or the Caribbean island of Jamaica, the first name that comes to mind is Bob Marley. Despite this, the reality that the world often tends to associate Marley with is far different from the one he grew up in more than 70 years ago. Marley lived in a Jamaica that had experienced more than 200 years of slavery and colonialism. This would have a great impact on him, considering that he was born from a white father and a black mother. The key to understanding Marley was not merely the music but the life experiences that played a part in shaping the individual and, ultimately, the music that the world would come to know. If there are three areas that played a part in shaping Marley the musician, it would have to be his experience of racism as a mixed-race person, his life in the slums of Kingston’s Trenchtown and his Rastafari beliefs. All three factors have combined to make Marley the so-called superstar that he is still known as today. Marley’s influence was not limited to simply making music for the sake of entertainment. He was most noted for using his music to spread the message of Rastafari. Rastafari is a phenomenon that began in the 1930s in response to a message given by Jamaican nationalist Marcus Garvey, who proclaimed that African people in the diaspora should look to Africa, where a black king would be crowned. It was here that they would find their redemption. It so happened that on November 2 1930, Tafari Makonnen was crowned emperor of Ethiopia under his baptismal name, Haile Selassie. 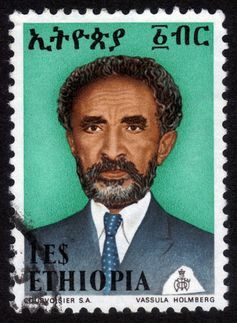 Rastafari was derived from Haile Selassie’s name – it is a conflation of Ras, the title given to Amharic royalty in Ethiopia, and Tafari, his pre-coronation name. What Marley brought to the world stage was something that was perhaps unique for its time. His tireless dedication and hard work to ensuring that the world came to learn and hear of Rastafari is in itself a major contributor to what made it into a global phenomenon. Through Marley’s music, people in all corners of the world came to embrace Rastafari. This has helped shape the Rasta philosophy to the extent that it can no longer be attuned solely to the needs of believers in Jamaica. It is found that everywhere it has been adapted to suit the needs and concerns of the society in which it has been embraced. This has further led Rasta scholars such as Richard Salter to argue that there is no one thing as Rastafari but rather only “Rastafaris”. What Salter means by this is that as a phenomenon Rastafari is understood in the societies where it is found. This further demonstrates how far and wide the phenomenon has spread globally. There are currently an estimated one million followers around the world. Marley’s message of Rastafari would further be extended to scholars who would play their part in educating the public about the nature of Rastafari. They would include, among others, George Eaton Simpson, Rex Nettleford, Leonard E Barrett, Barry Chevannes, Jahlani Niaah, Charles R Price, Michael Barnett and many others. Without Marley, scholarship on this phenomenon would not exist in such magnitude as is the case today. Although Marley may have lived in a world that is different to the one we find ourselves in today, the reality is that the human problems he encountered were no different from the ones we experience in the 21st century. What is perhaps most significant about Marley’s music is that his message has transcended both time and space. We now find ourselves living in a post-9/11 world where mistrust and intolerance continue to remain dominant, as much as they were back then. It comes as no surprise because Marley spoke of the human condition. There are very few musicians in this present day that may claim to use their music to fight for causes that Marley may have fought for. Marley did not only speak about love and unity among all mankind as seen in his 1977 song One Love. He also spoke about the sufferings of the world in his songs. These include So Much Trouble in the World, Burnin’ and Lootin’, Johnny Was and War. This is what has made Marley not just relevant to his time but to ours as well. My relationship with Bob Marley’s music began when I was living in England in the 1980s. There was a BBC television programme that my parents used to watch every Thursday night called “Top of the Pops”. One of the songs that introduced me to Marley’s music One Love. Little would I know that, over the years, I would become a fan of Bob Marley’s music and eventually become a scholar of the Rastafari phenomenon. “Catch a Fire: The Life of Bob Marley” – Timothy White (1983). “Bob Marley: Freedom Road” – directed by Sonia Anderson (2007).